It’s the largest of the Reserve Forces, which also include the Royal Naval Reserve, Royal Marines Reserve and the Royal Air Force Volunteer Reserve. Recruits are offered the option of a part-time military career in the Reserves that can run alongside their civilian lifestyle. Alternatively, for those who are ex-military, the role of Regular Reservist is available. By the way, you can be a member of The Military Mutual whichever Reserve you are in, or if you were in the Reserves at any time. And if you have a family member in the Reserves, all their immediate family can be members. That’s what we mean by the Military Family, the people we aim to help and support with our financial products. Everyone between 18 and 50 years of age is eligible to join the Reserves. You don’t need existing qualifications, just the willingness to learn. 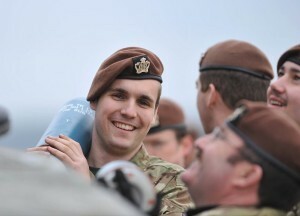 Reservists get the same top quality training and military kit as the Regular troops. You can study civilian and military qualifications as part of the job. Adventure training around the world is part of the package. A tax-free bonus or ‘bounty’ is payable when you have done between 19-27 days of training a year. The bonus rate increases annually. Salaries vary according to rank and number of days served. Food is subsidised and travel expenses are paid for. Reserves are entitled to paid leave. Ex Regulars can qualify for an additional reward of up to £10,000 if re-signing as a Regular Reservist, subject to conditions. Since the Middle Ages, volunteers have always fought our battles. Mounted Yeomanry were made up of landowners and their tenants protecting the home front. In 1907 Parliament merged the Yeomanry and civilian led Volunteer Force into the Territorial Force. August 1914 – the Territorial Force was mobilised in response to the outbreak of World War I. Regular and reserve troops fought side by side in the trenches of Northern France. It was disbanded in 1918. In 1920 the Territorial Army (TA), a part-time voluntary force was started up. In 1939, prior to the outbreak of World War II, the TA swelled to twice its original size. Troops were mobilised in the September to fight alongside the regular force, which they did until 1946. From 1947 the TA reverted to being a part-time reservist force. In the 1950s and 60s lack of financial resources put pressure on staffing and equipment and began to affect the reputation of Reserves. In the 1970s, new investment and thinking began to turn the fortunes of the Reserves around and re-establish them as fighting forces. Between 1998 and 2013 the Reserves flourished. Army Reserve troops successfully served alongside the Regulars in Iraq, Afghanistan and the Balkans. In 2014, the Territorial Army Reserve Force was renamed the Army Reserve, and continues to play a role in the country’s military resources. Employers are encouraged to support staff who are members. The cut backs in defence have been harsh, but the intent is clear – to have a fully integrated professional Army Reserve working alongside regular troops at home and on operations abroad. By 2020, the Regular Army will consist of 82,500 Regular and approximately 30,000 Reservist troops. As Winston Churchill once said ‘the Reservist is twice the citizen’. For more information visit the official Army Reserve website.